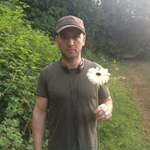 Simon Barrett’s screenwriting and producing credits include You’re Next, The Guest, A Horrible Way to Die, Dead Birds and portions of the anthology films V/H/S, V/H/S/2 and The ABCs of Death. 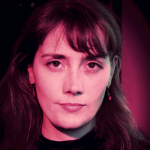 Shelagh Rowan-Legg is a programmer for FrightFest, Associate Editor for TwitchFilm, and a critic for Sight & Sound. Her book SPANISH FANTASY FILM: CONTEMPORARY FANTASTIC FILMMAKING will be published by I.B. Tauris in Autumn 2016. 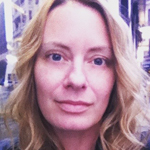 Stephanie Trepanier is the Director of Development for Snowfort Pictures. She has been operating in the genre film realm for the past 10 years. She has been involved with Fantasia, North-America’s largest genre festival, since 2005, and founded its Frontiéres International Co-Production Market in 2012, which has evolved into a bi-annual, transatlantic event with editions in Montreal and Brussels. Her previous production involvements include Turbo Kid, Spring, and Theatre Bizarre. Briony is the co-founder, director and programmer of Stranger With My Face International Film Festival. 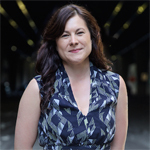 A graduate of the VCA Film School in Melbourne she’s written, directed and produced numerous award-winning short films and has several low budget genre projects in development (as producer/director/screenwriter). She’s also a freelance script consultant and editor and an arts writer who specialises in film. You can follow her on Twitter, if you like.